Living at 9, means no hidden costs! Nine Student Living offers you a comfortable and convenient place to live and enjoy the vibrant city life. At Nine you will be in the center of Lisbon, with major transport services, Universities and restaurants located right next door. Walking from your door you will find Campo Pequeno metro station, part of the yellow (main) line, less than 100 meters away. If the metro is not your thing, there are buses to every part of the city just across the street. Entrecampos train station is just 300 metres away from Nine Student Living, it will take you to any part of Portugal. We have partnered with companies that give you discounts and special prices so you can enjoy Lisbon to the fullest. You’re welcome to give us some suggestions for places that you would like to have as one of Nine’s partners! This low cost gym has one of the best facilities in Lisbon and its only 6 minutes away from our Residence. Europcar is one of the leading mobility players in Europe. Present in over 140 countries, the Group provides customers with one of the largest vehicle rental networks through its own operators, franchisees and partnerships. 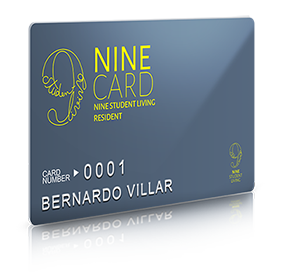 with our nine card student, you will get 10% discount on renting a car. Situated in Campo Pequeno Mall, this hairdresser gives you the best treatment. If your receipt is higher then 10€, you will get a 20% discount and you have a full service with Spa, hairdresser, pedicure and manicure. This Tuk Tuk company will show you every corner of Lisbon better then everybody else, so, don't hesitate in challenging them to design the best itinerary for you. 3 person max. By the Wine is the first flagship store in Lisbon. Its also a Wine bar, where you can taste the best of José Maria da Fonseca Wines and you can also eat some cheese and ham. Moscatel is a must if you never tried it before. The 9 Student living guests have 10% discount there.